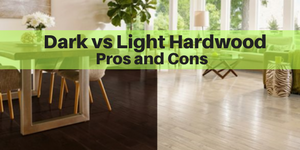 When it comes to hardwood flooring in Westchester NY, dark and light are in – both extremes. Light stains gives the room a nice warm, airy and welcome look; dark stains hardwood gives the room a more formal and sophisticated look. At the moment, dark seems to be the preference between the two, but this can vary based on the home owner’s tastes and style of the home. In addition, over the last two years, a new trend has emerged and an old one has been reinvented. Gray is the new hot trend. And, white wash has been reinvented. Yes, you read that right! More below. Because of these strong trends, I needed to update this article. (My original article was from 2011 and yes, styles and trends evolve). 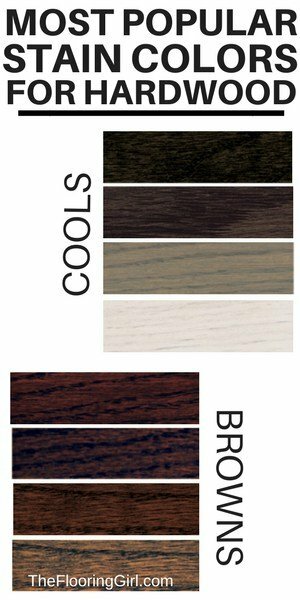 Hardwood Floor Colors – What are the options and what is most popular? Dark colors are probably the most stylish and dramatic. There are several similar tones, so I think it’s usually best to see which is just the right shade for your taste. – Ebony for a deep espresso stylish and dramatic look. Jacobean is very similar, so it’s good to test that stain, too. Jacobean is currently the most popular stain. Often, we will test a 50/50 blend of Jacobean and Ebony (this is nicknamed espresso) and many of our customers love this combo. – Over the last year or two, many customers are looking to go darker and darker – even darker than ebony. Ebony is a very cool toned color, but you can still see the graining of the oak. Due to this high demand, last year, Duraseal introduced a new color to their line up called “True Black” and it is striking. So, if you want extremely dark, give this color a try. The darker you go, the less you see the graining and you also see less color variation in the wood planks. Many prefer this look both because it’s more contemporary and also because the floors are more uniform making it easier to decorate. Others, prefer a bit lighter as it is easier to clean and maintain. If you would like to buy the True Black stain, you can purchase it online at Amazon by following above link or clicking on the picture of the can. It’s not available in most stores yet. – Dark Walnut is similar to Ebony and Jacobean, but it a bit lighter, which some customers prefer. Jacobean and dark walnut show the dirt a bit less than ebony. – Royal Mahogany has a bit of red cut in. It’s almost a combo of Red Mahogany and Ebony. Light colors are very cheery as well as neutral. They also work for modern looking homes (and ironically, ebony on the opposite extreme also works for modern). – Most often, if someone is going light, we will do natural as this is the lightest you can go, and it usually costs less than adding a stain. Lighter, especially natural tends to hold up better/last longer and show less dirt. Note: The type of polyurethane you use (i.e. oil vs water polyurethane) can have a big impact on the color, especially for very light floor. Oil based poly will be a bit darker and more amber. Many customers love this; others are trying to move away from the yellow/golden look, and instead opting for a lighter and more natural look. The best way to achieve this look (and simultaneously have a durable floor) is to use Bona Traffic HD. Mid tones tend to work for traditional homes in Westchester – they just seem to work color and style wise. They also tend to hide some of the imperfections if the wood is older. – Provincial is the most popular mid tone color. It works well because, it is a brown stain (and does not have reds mixed in), so it’s very neutral and goes with almost everything. The picture on the left is provincial, but it appearing much lighter than usual due to my flash. The picture below is more indicative of what provincial typically looks like. – Special Walnut is very similar to Provincial but a tad browner, so usually I recommend that a customer tests both colors on their floor to see which they prefer. Provincial often works better in more traditional homes and special walnut often looks a bit more contemporary. – Chestnut is similar to special walnut, but lighter. Please note that all of these stains come out slightly differently in everyone’s homes pending the species (red oak vs. white oak) and age of wood. Red tones are more polarizing and less popular than the brown tones, regardless of whether the stain is light or dark. Red tones are more challenging to decorate with as they are more challenging to match other wood furniture, as well as paint, window treatments and pillows. Many homeowners and decorators find the reds limiting. – Popular red tones include red mahogany, sedona red, mesquite red and red oak. Most of these are pretty red. – Then, there are red/brown blends such as English Chestnut. This is a mid toned reddish brownish color. – On the lighter side, there is Colonial maple (rather orange) and Golden Pecan (which is similar to golden oak, but with a hint of red). Yes, gray is the new hot color. It’s been very popular in tile and carpet for years and it’s now been making its way into hardwood for the last 3 or 4 years. Gray is a bit challenging to achieve and more expensive than typical colors as you need to blend 2 colors and use a water based poly (otherwise it will yellow). Note that gray stained floors work better on white oak than red oak (and even better on maple. Please read the full article on gray hardwood floors. I seem to get a lot of questions on this, especially as many contractors don’t have much experience with it. Finally, I’ll mention that Duraseal recently launched a new line of 6 gray blend stains. This are mixtures of grays and browns and beiges. You can see these new stain colors here. Yes, one of the most surprising resurgences is white washed hardwood floors. Yes, 7 or 8 years ago, this was so 80’s, but now it’s coming back! The trend seems to be driven in part by the gray trend and in part by high end beach resorts in the Hamptons and now the Jersey Shore. NYC often starts the trends and this is becoming bigger there, so it’s naturally migrating to Westchester County NY as we have so many who move here from the City and work in the City. It’s especially popular with wider plank flooring. White washed floors are more expensive. Similar to gray floors, you need to use a water based poly, and this costs a bit more and you often need to add an extra coat for more durability. 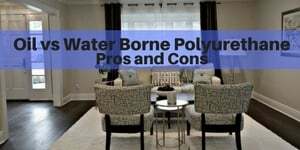 In addition, using a higher grade water based poly such as Bona Traffic will help make your floors last longer (and will be less susceptible to yellowing), but this poly does cost more. Yes, this is super trendy (and more expensive) – creating a wire-brushed look. This is basically when you have a main color (generally a darker color) and then you wire-brush the floors to pull out the grain, and then you add a second color (most often a white) so it creates a glaze and contrast on the grains. 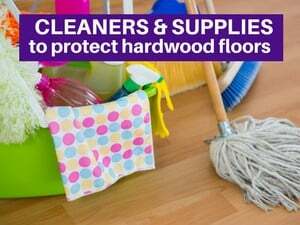 This generally works best on oak or hickory floors, as they have a stronger grain. It’s a tricky process, and most often you will see it in pre-finished hardwood flooring. There are very few contractors that know how to create this effect on-site. Minwax and Duraseal Stain colors. Here’s a stain chart for Minwax Stains. Please note that this is a picture of a picture and hence it may not be color correct. Regardless, stain colors come out different on different woods (and even different pieces). It’s always best to test some stains on your own floors. And here is the Duraseal stain chart. Again, you should test these stains on your own floors before committing to a color. They do come out different on different species, grades and age of wood. Also there is overlap of stain colors between Duraseal and Minwax. (both are made by the same manufacturer – Minwax). Check out Duraseal’s new gray blend line here. Hi, I am wondering what color stain you would suggest for a walnut floor. A lot of the house will have white paneling and the walls white. We were thinking of dark but don’t want to go so dark we can’t see the beauty of the walnut. Thanks! Hi Tracy. The dark will look great with the wood paneling. I would test a few to see which you like the best. I would stick to brown tone (no red undertones). The darkest would be ebony…you may want to test, but that may be too dark and drown out the graining. My gut tells me that either dark walnut or jacobean would be best, but you guys will need to be the judges of what you like best. Also, you could just test natural to see if you like that (since walnut is naturally dark…and it darkens over time). Thanks for the reply. We tried dark walnut but it was really dark on the walnut floor and made the grain almost disappear. The natural is beautiful but too light and it’s character grade walnut so I am afraid of a streaky floor with just tung oil. We are considering provincial. Have you ever seen that on a walnut floor? I have red oak floors on the upper level (Bedroom area) of my home, we stained them Provincial. 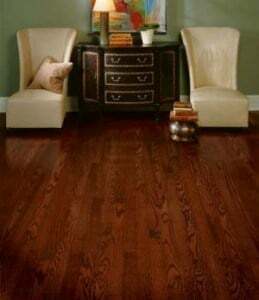 We are putting new red oak floors in the downstairs section of our home and I would like to go with a darker look. I like dark walnut. Would it look strange to have those two stains in my home? Denise – I think it’s fine to have 2 different stains on the different levels. Generally when people have different colors, they go darker on 1st floor and lighter on 2nd. I would do the steps the same color as the 1st level. I think those 2 colors can look nice together. I might also test jacobean. Corinne – I’m not crazy about that color as it seems to have green undertones. We prefer to mix white and ebony to get to desired color. Going a bit darker hides he yellow more. Your website has been a great resource. While preparing to install pre-finished engineered grey floors we discovered the original maple flooring in my 100 year old Chicago bungalow. I’m firm on grey floors in my kitchen and getting ready to buy stain to experiment to find the right combination for my desired grey floor look. This will be my flooring finishers first time mixing stains. Fingers crossed. Jae – I hope it works. 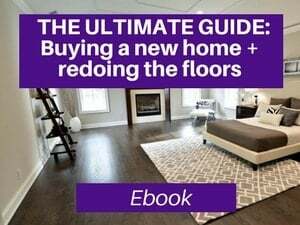 You may want to check out the article I have on refinishing gray hardwood floors. Also, maple floors are rather tricky to refinish. Make sure your installer is comfortable with both of these. I’ve gotten many calls with botched up gray floors from people that haven’t had much experience with them. Hello I just recently stained my flooring with the Golden Oak. It came out really dark & I don’t understand why! It’s been drying for 2 days & some parts are a little lighter than others! Do I have to redo the entire process to get the shade I want? Also if I like the bare wood is it ok to just apply polyurethane to it? The most likely reason is that you didn’t properly sand the floors. They need to be sanded 3 times, each time with finer and finer grits. The 2nd most likely reason is that you didn’t wipe off the stain or you let it sit too long. In any even, if it’s too dark or blotchy, or you don’t like the color, yes, unfortunately, you will need to start again. And, yes, you can go natural and just do 3 coats of poly. This is prob your best solution if you think golden oak is too dark (golden oak is one of the lightest stains). What color durostain should I use for s small house. I sort of like golden brown. Does this go with a brown couch? Roberta – Honestly, I think you should just choose whichever stain you prefer. I would not let just one piece of furniture dictate the colors for the whole home. But, I would recommend shades of brown vs. shades of red or red-brown. On how light/how dark, that depends on what you prefer…as it is your home. Hi I am interested to stain my floor pickled oak 260 but my contractor is telling me that’s basically the same as no stain at all. Is it true? I am looking to do the floors really light. 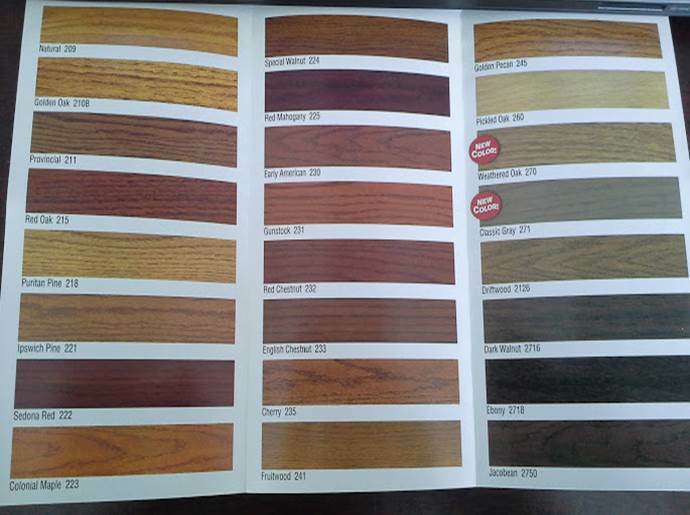 He’s asking me to pick 3 colors to stain for samples, are golden peacan, pickled oak and weathered oak good choices? Hi Carlotta – No pickled oak is not the same as no stain at all (which would be natural). Pickled oak is a stain and natural has no stain. Pickled oak is lighter/whiter than natural. In terms of what’s good/bad, that depends on what you like and what style you’re going for. There is no harm in testing them. But, with pickled oak and weathered oak, you need to use a water based poly (which is more expensive). Otherwise, it will turn yellow and look really bad. You can do either water or oil based on golden pecan. Thanks! I’ve looked at the stain sample that my contractor did but none of them work. I want a “farmhouse white birch” color, would this be the whitewashing? and how do I achieve this color? Hi I am also interested in white washed floor (white oak in my case). You mentioned that for white-washed look, water-based poly is the only way to go. My contractor suggested to improve durability of the floor, to apply an oil-based poly( absco) as the top coating, above 3 layers of water-based poly (bona traffic). I am worried about the oil coating turning yellow over time, but I also do not want to have to refinish my floor within a few years. Your advice on this will be highly appreciated!!! Yes, you should be worried. It will turn yellow. Also absco is a very low grade and cheap poly. I know many that have had major issues with it. Also, the water should not be applied over the water based unless you wait at least 6 months. 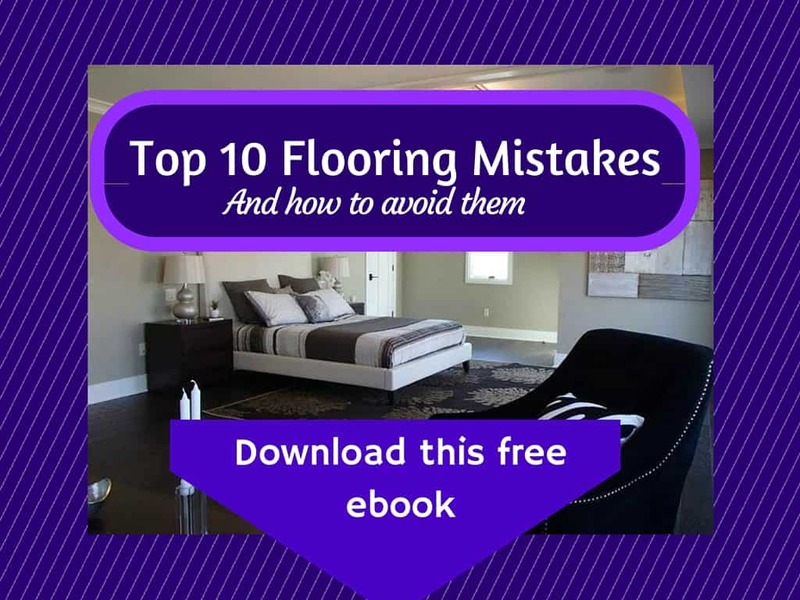 I think this would be a major mistake and you will want to redo you floors…in fact within a year and probably sooner. What color stain would you recommend for white oak hardwood floors to go with my Kraftmaid English Toffee color cabinets and Kona Beige silestone countertops. My floors are natural now but I’d like to try something different. Hi Steven. I’m not familiar with those exact colors but from the sound of the names, I would probably go dark as you need a contrast. I’d test jacobean, dark walnut and even a 50/50 blend of ebony/jacobean. In the end, it depends on what you like as it is your home. Good luck with your project. Hi there. Great website and very helpful. I have an early 1930’s home with white trim/burberry beige walls. The hardwood is original golden oak with mahogany inlay around the border. I am having the floors resanded/stained by a professional and I love the contrast of darker stains like espresso with the lighter walls/trim but would also like to maintain the inlay showing through. Ceilings are 8.5 feet and most of the furniture fabric/stair runners are in the white/beige color group. Can we get away with going into the Dark Walnut, Espresso palette or is better to stay in the Provincial/Special Walnut group. I will test everything but ideally would like to maintain the mahogany inlay border as a design feature. Our goal is to add some contemporary features that will still work with the overall age of the home. Thank you! James – That sounds like a lovely home. Lucky you with the mahogany inlay and high ceilings. I think the dark can look nice, and I would definitely test dark walnut – test some over the mahogany to see the contrast. As you go darker, the contrast w/ the mahogany won’t be as great. In my experience, mahogany seems to absorb dark walnut stain more than jacobean and dark walnut, so that that may work better (vs. the darker stains will prob show less contrast based on how the oak vs mahogany absorb the stains). I hope that made sense. But, yes, test for sure. Hi Michael. Generally, when we test the stains, it gives an excellent sense as to how the color will come out. Are you doing this yourself? If so, that may be the reason. You may not be sanding properly. If this isn’t something you do on a regular basis, I would suggest that you hire a professional instead, esp as it sounds like you have beautiful floors with an inlay and you may ruin them. If you are hiring a professional and just testing this by hand and using sand paper, it probably won’t come out properly. Our guys use machines to to this work…both for testing and in real life. Hello. Floor refinishers are here as I type, so I need to determine stain color and finish. I had planned to go with a wax finish as that is what the flooring company said most high end customers in the Dallas area request. I have had poly before and it seemed to scratch easily. 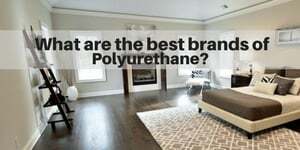 Why do you prefer polyurethane over wax? Wax has higher maintenance. Poly lasts longer. Most people in higher end homes here prefer poly. I don’t know the Dallas area, though. Thanks so much. I’m not sure the stain color used on the right; it’s possible that it is ipswich pine. The left is white oak (the species) with no stain. Colors often look a bit different in pictures vs real life so it’s best to test. I have 18 year old maple flooring and I am just unhappy with it. It looks dated! I would love to do a white wash on them but not sure if this would be appropriate for maple. I know it is a difficult wood to stain etc. What would you suggest? Yes, maple can be challenging to sand. It’s best to use water based poly for maple (for natural, white wash or light stains, esp Bona Traffic as it will hold up better and yellow less. If your floors are just beat up and you like natural, refinishing natural is your best bet. You can also test white wash or gray and see what you think, but be sure to hire a professional w/ experience in this area and use Bona traffic. Going from Natural Red Oak Floors to Special Walnut. Due to Red Oak does it appear to show red tones? Help they stain tomorrow and very concerned. Elaine – Generally special walnut is dark enough to cover the red undertones, but you always should test. I hope your project goes well. What would jacobean and classic gray look like mixed 50/50 and 75/25? You’d have to test it to see. I would expect that it would be a mixture of dark brown and gray. If you test it and like it, I’d use Bona Traffic for your poly, otherwise it will yellow. Would Jacobean and Weathered Grey have a darker slightly distressed look than the Classic grey? Most likely yes. Classic gray does not have much of a distressed look; it looks more modern to me. Hi flooring expert! We have just refinished our dining room floor which is white oak with 2 separate stains as the first was not at all what I was hoping for. My flooring guy applied Jacobean per my request and I hated it! It was too grey and light-so I had him reapply ebony on top and I love it! My question now is regarding the poly? I don’t know if I want satin or semi gloss? The majority of the floor will be covered by an area rug, however I do still want the sheen to be something I like. Any insight on this? Thanks in advance for your time! Personally, I prefer satin and it’s much more in style. But, if you don’t like it, it’s not right for your home. I think you said it well – “I want the sheen to be something I like” and only you can answer that. See if your flooring guy can test it for you (even if it needs to be in a closet). Thank you so much for your response. 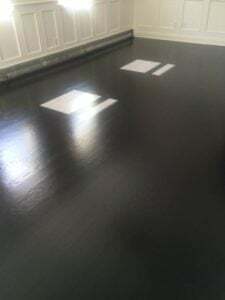 Do you think its possible for my flooring guy to apply the first coat of poly in semi gloss finish and if I don’t like it to then go with the satin as the final coat? I’m leaning towards satin however I’m a very visual person and need to see things in “real time” first, which is what I should have done with the stain. You had mentioned that he can/should apply the poly in a closet as a test sample, however my concern is that the lighting will be totally different in my closet as opposed to the dining room which has large-ish windows. What do you think? Thank you! Yes, this is possible. I would say go with your gut and do that one first…and look at the results before the last coat so you can adjust. Or test on some loose pieces of wood. Your website and blog is wealth of information. 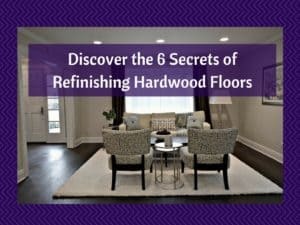 I have read some of the articles multiple times to get better understanding on what it takes to install a beautiful floor. 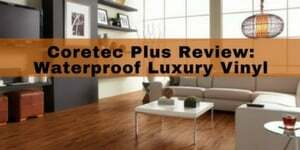 In my opinion, you are undisputed flooring expert on the web. We installed approx. 2000 sq. ft. of two staircases, new #1 Red Oak and refinished approx. 500 sq. ft. of #1 Red Oak. Since we are living in this house, we are doing this project in three phases of staining. During 1st phase of staining we tested Dura Seal Antique Brown, Coffee Brown, Chestnut and 50% Antique Brown/ 50% Coffee Brown. We decided 50% AB/50% CB. When they had just applied stain only, it looked real good and the color we wanted. After 2 coats of Masterline oil based poly, we see lots of Red and especially at nights with lights turned on. So we decided to try out Coffee Brown only thinking it will over power Red in upstairs loft area with only 1st coat of Poly. We didn’t see much improvement in removing red tone. Now we are wondering, what can we try out for the remaining (last phase) phase of the downstairs front of the house where we have little more natural lighting. We really want Mid brown tone. Do you have any suggestions? If this phase of staining turns out to be what we really want, then, we can think about resending previous stain. Hi Uday. Thank you for your kind words. I really appreciate it. I wish it were true! Anyway, I think it’s best to test and look at the stain when it’s wet. In my experience, coffee brown and dark walnut tend to hide the reds the most. You will have to test to see what color works best for you in terms of drowning it out and it not being too dark for you. Obviously, if you go full dark walnut, it should drown out the red, but it may be too dark. The same may be the case for coffee brown, but test it. Then maybe lighten it a bit by mixing in a lighter color. Chestnut might work, but it may have some red mixed in. Also, another mid toned brown stain to try is special walnut. The truth is that the stains look different on everyone’s floors. But, try the dark walnut and coffee brown and cut something lighter in there and hopefully that will work. Also, make sure that you are testing it in the same way the installers will do it…otherwise your test and real life won’t match. Thank you so much for your reply. The current finish 50 /50 Coffee Brown/Antique Brown looks like Rosewood and similar to stain color in your Red Tone section Picture. This mix is used in Family Room, Kitchen & Breakfast & MBR. The Front section of the house still needs to be stained and that area is Entry, Formal Living, Formal Dining & Guest Bedroom. So I was thinking, Jacobean may bring desired result. Will Jacobean be better in hiding Red vs. Dark Walnut? Will Jacobean look OK next to Rosewood like stain in Breakfast area? The overlap between two different stain will be two 32” wide door entry. Dark walnut will hide the red more than jacobean; jacobean has a bit of red cut into it. 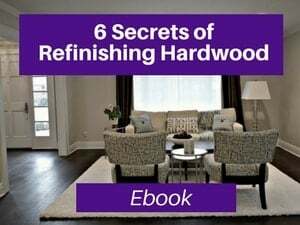 With all of this, you will need to test it – both to find what you like and if you feel it works well with what you have or if you want to refinish the other areas. Hi Flooring Girl! I’m so grateful for your website; I’ve learned so much here! Thanks for all the great content. I’ve got a 60 year old cabin/cottage style home with red oak floors. I’d like the finish to be as light as possible, but i’d like to hide SOME of the grain, whirls and knots in the wood with some opacity. Obviously I still want to see that it’s wood, but soften the intensity of the contrast in the grain. Basically I’d like a somewhat uniform light color, that looks bright and natural. Can you recommend a stain color/brand/technique for this? Hi Brian. First, thanks for the comps. I really appreciate that. Now, regarding your question, you have competing priorities here, so you’re going to need to test and prioritize. First, to hide the knots/whirls, you want to go as dark as possible…which I know conflicts with your desire to go light. Regarding hiding the grain, in general, either going light (e.g. natural) or very dark (e.g. dark walnut or jacobean) tends to camouflage the graining the most. Conversely, going in the middle (e.g. special walnut) tends to show the grain more. so, given that the extremes show the graining less and you want to go as light as possible, you may choose to go natural. But, bear in mind that will reveal the knots more. One thing you can consider is looking at the stain samples on the mixwax or duraseal samples and see which look you like the graining best on. I hope this made sense. I’m not sure if it helped or not. thanks so much, that helps! I never considered that the knots and grains would act differently, but it makes a lot of sense. Wondered if you had any experience with that, as it seems like I can get that light color with a little more camouflaging, perhaps even of knots, etc. Anyway, thanks again and happy holidays! I want a mid brown color for my red oak floors, I don’t want the brown to be red. From reading your comment dark walnut will not show red, but that’s too dark. Can you mix it 50/50 with natural and it be a a lighter non red brown? If you feel that dark walnut is too dark, then try special walnut which is lighter. 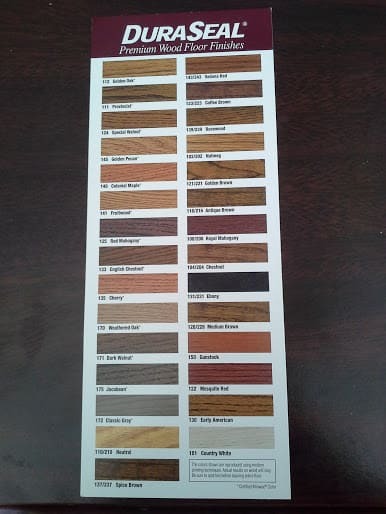 Special walnut will not be red on red oak? If it’s too dark can you add natural to lighten it? Or will the red oak show if you lighten it? How about a mix of 50/50 ebony and natural? We don’t have duraseal carried locally but have found some great example pics of coffee brown mixed with country white. Can you recommend what coffee brown is closest to on the Minwax stain choices? Thanks! Sandy – I would try antique brown. medium brown or special walnut (I’m not sure if all those are avail in Minwax). Or, call Minwax directly. Minwax makes both Minwax and Duraseal. Ask for their recommendation. Susan – Your floor sounds lovely. I love the borders. Often I seen them around here with walnut and maple. The woods absorb the stains differently and so we often test in this area. Personally, I like special walnut the best out of all of those, but I also like provincial. The reason I prefer the special walnut is that it’s brown and more neutral and more likely to work with the other species. Provincial is also nice. It’s around the same darkness, but a touch of red in it. I would test these as sometimes the provincial looks better on the wood and sometimes the special walnut does. I’m not a big fan of Early American as it has more reds/oranges in it and it tends to get more orangy over time. I find it’s more challenging to decorate with that color. Help-just stained red oak floors today, a nice dark brown and for whatever reason kitchen looks lighter than living room/entryway. The finishers are coming tomorrow to put first coat of water sealant on. Can they add 2nd coat of stain over the entire floor to darken it? They drive a distance and we don’t want to be a pain but not sure why kitchen appears to be so much lighter. What is simplest solution? I would not recommend putting a 2nd coat of stain on. If you do that, the poly won’t adhere properly and you can get peeling. I would probably consider converting to oil based poly (for a darker look) and/or adding a tint to the last coat of poly to darken a bit (assuming it’s close). If not, you may want to start again, resand and restain while testing the colors. I would also get your installer’s perspective on this. Why do they think it’s lighter? Is it possible you have different species there? Or is the wood newer? You are a lifesaver to bounce ideas off of. Wish you were closer. The kitchen was original, everywhere else is new red oak. One person thought kitchen was white oak, but it is same builder and floor guys from 13 years ago. It would make sense that the pores in kitchen are more closed and not accepting the stain as well. Finishers use water based sealant. They are advising we put coat of sealant down today and then followup with pigmented sealant next. We wouldn’t mind all of it being a bit darker but definitely in the kitchen. The color tone is great we were just expecting it to be darker from what we started with. We are working to tone the oak grain down by being darker, and painting our kitchen cabinets white so great contrast. Do you feel pigmented stain will darken and tone down pigment at least in kitchen? They haven’t suggested we start over. I meant to say…Do you feel pigmented poly will darken and tone down grain. What would you do? I’m expecting them to show up anytime. Thank goodness I work from home. We are so glad we want dark. We have had natural for 13 years and it is awesome to experience something different. In your expert opinion is tinted poly ok to use between layers of clear poly? Do you think it will help with much uniformity? Thanks! Tinted poly should only be used on the top layer of poly. Hello, Can you tell me which stain you used in the picture with the open floor plan, white fire place, and french doors? It is in the dark section. It is gorgeous and we are trying to stain our floors. My husband got all three stains you mentioned to try. Thanks so much! I believe that is a 50/50 ebony/jacobean blend. You will need to test the colors on your own floors. They sometimes look different in pictures (often a bit darker). Also, the stains will look different on different woods. What a wonderful blog/site. I am out of your area, but I am hoping you can lend some advice. We are just starting a refinishing of all of our small 1953 Long Island home’s white oak floors. We have very light cream color painted walls and small rooms so I don’t think I want a stain that is too dark. 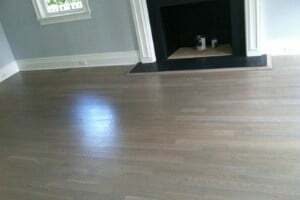 Our contractor just installed new white oak floor in one room and we went with satin over minwax english chestnut because it did not look too dark or too red in our tests on scrap. (We had narrowed it down to honey or english chestnut.) However, I still think it looks too red. I prefer more brown and less red or orange/yellow but I think a more plain brown like minwax special walnut may be too plain. I am weighing my options for a stain for the remainder of the house. Perhaps minwax honey or provincial? They all are so close in brightness and color. What do you think? I LOVE your website and it has been extremely helpful during our renovation process. I have something i wanted to run past you and I am hoping you have time to comment. I installed 1700 Sq ft of 5″ White Oak planks. I want to get a dark charcoal gray/brown look. However, I can’t seem to find anything similar to what i am look for. I am wondering how you feel about mixing Duraseal 1 Ebony and 1 Country White. This is for a beach home and we like dark but I feel Ebony is too dark. Trying to get the darker restoration hardware look without going too modern with just a classic gray. Help ! Kristen – Yes, when it comes to grays, you just need to test the ratios. We generally mix different ratios of ebony (duraseal) and white (bona). Occasionally, we’ll mix in a bit of brown (e.g dark walnut or coffee brown). Note: you probably need to use a water based poly on this (I’d recommend Bona Traffic HD). Thank you for this site!! We are doing a remodel now of an old log cabin. The floors originally were southern yellow pine so we matched them for the addition. We plan on sanding all the flooring (old and new) to achieve a blended unified look. 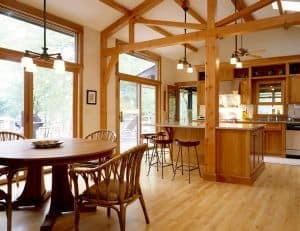 The cabin has dark brown wood painted beams throughout but we are looking for a light brown (not yellowy or orange floor); my husband wants nothing too dark. We tested medium brown, provincial and antique brown (without first sanding the floor) and it came out blotchy and a bit dark, esp in certain spots. Please help. What is best advice to get a unified color (despite age difference of wood), light brown and no blotches. THANK YOU. Hi Jennifer. What a fun project. First, I hope you are not doing this yourself. If you are and/or if you are using rental machines, it will be extremely challenging to avoid the blotchiness, especially in pine which is softer and more challenging to refinish. This is most likely due to equipment and user inexperience. Second, with pine, you’ll need to add conditioner before adding the stain as it will open the pores. If the sanding isn’t done properly and with 3 grits, you will never get a good result, regardless of stain color (although I’m guessing that lighter colors will show the issues less. My gut would have been to start with special walnut and then try darker stains. Just a couple of more facts – we also tried Early American and Special Walnut – but both of those had a strange hue (greenish) on the southern yellow pine (all colors were duraseal). Would love your thoughts on best technique to apply to get unified color and also maybe good mix of colors to try to achieve a light brown on the yellow pine wood. See the last comment I gave. I have a hunch the issue may be the sanding. But, I would also test brown/darker stains until you get the right color. Early American is too red. Special walnut may not be dark enough – try dark walnut instead. Coffee brown work, too. Also, there is a new color that just came out called “true black” and you may want to try mixing that in to make a bit darker. In my experience, ebony and jacobean (which come out darker than dark walnut on oak) tend to come out lighter on pine. So, try the new true black, mixed in with dark walnut or antique brown if they aren’t dark enough themselves. Hi! Thanks for this helpful site. We are building a new house and have installed rift and quartered white oak floors, 4.5″ width. The house is mostly traditional style. We are trying to get a neutral medium brown, a little rustic feeling. The main plaint color is Revere Pewter (a griege color). We just sampled the dura seal chestnut, early american and provincial on the floor. Our flooring guy didn’t test special walnut, which you seem to write a bit about. I think the early american is a bit too red but honestly they all look pretty similar to me. What would you recommend for a floor like this? Thanks! I think special walnut would look nice with that wall color and it’s neutral. Provincial is also a nice choice and it would be my 2nd choice. but, you have to test to see what you like. I agree taht early american is too red. I have red oak floors and need to decide on a color. I want them pretty dark but not ebony and I don’t want any red in them. What do you recommend? What minwax stain comes close to matching duraseal coffee brown? Personally I prefer Duraseal, but colors to consider are jacobean, 50/50 blend jacobean/ebony, dark walnut, antique brown, coffee brown. Test on your floor and see what you like. The stains look different on different floors. Annette – In general, you want to contrast the floors as much as you can from the cabinets. You chose a mid toned stain, so it’s more challenging. I’d probably recommend natural with that (dark floors will probably look too dark). If you want to go a tad lighter, you could also try natural w/ Bona Traffic for the poly. OMG! I wish I lived in your area cause i’d hire you in a second! Wonderful informative website! My husband and I just bought our first home and we’re overwhelmed with all the work this house needs. The first thing we must do is get rid of the carpet. I want to put in hardwood and carpet. Do you have any recommendations on where to buy hardwood from? I was going to go to Lumber Liquidators but then I read about the many complaints. I live in the Chicago area and i’ve already been to places like Home depot, lowes and carpet one. Thank you in advance! Thanks for your kind words. I really appreciate it. Yes, shop anywhere BUT Lumber Liquidators. Besides all that you’ve read, the milling of their products is terrible so the planks don’t line up that well and you often need to add filler. I would also probably stay away from Home Depot and Loews as they tend to have lower end and shinier products and they don’t hold up well. 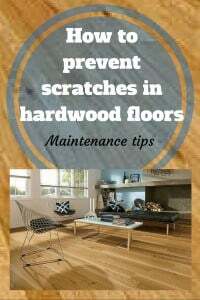 Look locally for hardwood flooring stores in Chicago or go to Angieslist.com. I’m considering purchasing a 1929 Bungalow/Cottage fixer upper that is just over 1,000 sq ft. I want to do light gray walls and white trim. What are some ideas for stains for the floors? Cam – I think this depends on what you like. With gray walls, I would do a cooler color. Dark browns work well with gray. If you prefer light, then I would probably do natural w/ Bona traffic as that will be less yellow and work better with the gray. I commented about the 1929 bungelow/cottage. Because of it’s small size should I go with a lighter stain? I like a distressed look any suggestions? See the comment I just left. Distressed will be challenging to do if you are refinishing the floors. Would weathered oak or country white work? You can definitely try it and see if you like it. Note: If you have pine floors, these colors won’t look right with the yellows in the wood. What dark browns would you recommend? Cam – for dark stains, I would try jacobean, dark walnut and antique brown. You could also try mixing in some ebony to make the colors a bit darker and cooler. Thank you for all the info. We are refinishing 1 1/2in red oak flooring in 40s small ranch. Took out walls to open kitchen and adding unfinished red oak for flooring to be the same. Woodwork is fruitwood and new cabinets will be cherry shaker with lighter granite counters. Prefer med to darker stain but not sure what..english chestnut, special walnut or mixture of something. Thoughts/suggestions? Thanks. Cathie – You’ll just have to test it. My mind immediate went to what you’re thinking as well – special walnut or english Chestnut. Provincial might work, too. If you want to mix with something darker, mix in some dark walnut. As an example, if you like English Chestnut, but want to go a bit darker/browner and less red, mix in some dark walnut. I hope that helps. Is there one wood that is more preferable for a con-temporary style? Lorraine – There really isn’t…it depends what you like and there are multiple ways to get there. If you want to go dark (which is contempoary) then any wood will work, and most use oak – especially white oak. If you want to go as light as possible, you could consider a clear maple with water based poly. I hope that helps. Oh, and if you want modern/contemporary, choose white oak over red oak. Red Oak looks more traditional. I have a dilemma. I purchased some retro treads to go over my existing stairs. I stained them gunstock to match my existing Bruce Hardwood Gunstock floors. The treads are a red oak and took the gunstock stain to an orange/red color. I’m not sure how to fix it as I have already stained 7 of the steps. Please help!!! Hi Alexis. Yes gunstock often is red/orangish. And, there is a good chance they are not the same species of the Bruce prefinished wood. (you may have white oak on floors which may be less red/orangish. You should always test the stain first. Unfortunately, to change the color, you will need to resand them and start fresh so that the new stain is absorbed properly and so the the poly will adhere to that. When it comes to prefinished colors, the manufacturers have their own proprietary blends. Sometimes they will provide this to you. You may want to call Armstrong to see if they will provide that formula. You may also ask them the species of the wood you have for the line you bought and what species it is. If it’s white oak, ask them if they can help you translate to red oak (you prob need some more brown (e.g. special walnut) and less red in your mix). Please note that often Bruce (made by Armstrong) uses both red and white oak for the same line, pending on sourcing costs, so it can vary. When it comes to prefinished colors, the manufacturers have their own proprietary blends. Sometimes they will provide this to you. You may want to call Armstrong to see if they will provide that formula. You may also ask them the species of the wood you have for the line you bought and what species it is. If it’s white oak, ask them if they can help you translate to red oak (you prob need some more brown and less red in your mix). Please note that often Bruce (made by Armstrong) uses both red and white oak for the same line, pending on sourcing costs, so it can vary. What mid tone brown (with no red, orange or yellow) would look good in a 29 bungalow that’s just over 1000 sq ft? I want a mixture of brown and gray would something like classic gray/weathered oak, classic gray/special walnut work or what suggestions could work? Would special walnut and an ebony mix work? Yes, they do. I’ve seen this mix and it looks nice. I haven’t been able to pictures of that mix what does it look like? Would natural floors with a light ebony stain work? Hello! This website is so helpful! For a medium stain, my friend recommended 50% provincial, 50% jacobean. I saw on one website that this formula is the same as antique brown. Is this true? In the sample on my floor, it looked darker than I thought, almost the same as the straight jacobean sample. The contractor said the darker color dominates. Question: have you seen the 50/50 stain? If so, what pre-mix color do you think it mostly resembles? Thank you so much! Katie – I have not seen that combo, but yes, it seems that it would be around antique brown or so, or a tad darker. Your contractors is right that the darker color will dominate. But, regardless of whether you use a single stain or a color, you need to test, and the stain comes out different on everyone’s floor (due to different species, grade, age, lighting etc). If you feel it’s too dark, you could always mix in more provincial (e.g. do 75:25 blend). Also, BTW, I consider provincial and special walnut to be mid color stains and antique brown to be darker. Hi Steph. Yes, Puritan pine is not that popular as yellows have gone out of style. Also, once you are light, most prefer to do natural (i.e. 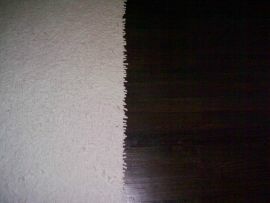 no stain) vs a light stain as it holds up better, looks more natural, costs less and is a faster process. All that aside, if you love puritan pine, go for it. It’s your house, and you should do what you love. And, yes, I have had customers use this and they loved it. Hello! I have new white oak character floors. All white cabinets and walls. Looking for a nice brown stain with no reds, yellows or green. I’m thinking maybe Antique Brown or Provincial. Any advice? Charlie – Yes, antique brown can work well. Provincial may work, but has a hint of red. I would test special walnut which is similar to provincial but no red. See what all 3 look like and then decide. Provincial on white oak may be fine…on red oak, it’s redder. But test and see how it looks. Hi Pam. Are you sanding yourselves? I’m surprised to hear your results and that’s why I’m asking. It could be the way you’re sanding/testing. Or, it could just be because we have different interpretations of mid. So, if you wanted mid, I would have advised special walnut and provincial. I’m surprised that provincial is coming out so dark and I’m surprised that special walnut is turning out so red. Generally, special walnut is a bit darker and browner than provincial. Are you wiping the stain off? Yes, red oak has some pink undertones, so that may be a bit of an issue for you, but you can’t change that now. If you want to drown out the red by going darker, but not too dark, try coffee brown and antique brown. Those are darker than special walnut but not as dark as dark walnut or jacobean. If you want something a bit lighter, you could try chestnut (but this may not be darker enough to drown out the red. If you go natural, you will be a bit more yellowy and pinkish with oil based poly. You also could try Bona Traffic (which is more expensive) to be light and less yellow and less pink. I feel your pain. I’m not sure if this is a testing/user issue, or if you just need to try out more stains. Good morning. Thanks so much for getting back to me. I agree with everyone else on these posts that you are great at what you do! We are not sanding ourselves. Our contractor hired our floor guy. The floor guy put down 4 stains that we did not like. I went out & bought provincial & special walnut. Our contractor applied those. We are now wondering if he used the same cloth to wipe both stains, which would make a difference in their appearances. We are going to apply those again today. I also think I’ll pick up chestnut & try that too. I’m thinking natural is the safe way to go & will talk to floor guy about Bona traffic. I know it’s such a personal preference, but now thinking going mid tone might be outdated?? Thanks for your advice! Pam – I just saw your reply. Thank you for the kind words. They mean a lot to me. I hope all has worked out well for you and that you found a solution you love. Yes, staining does lengthen the whole process. The sanding part is the same regardless. Then, the stain is usually an extra day, and pending on humidity levels and how quickly the stain dries, it could take 2 days to dry (rather than 1 day). And, each coat of poly needs 1 day to dry (generally). So, if you compare Natural (3 coats poly 1000sf or less), you may be able to do this in 2-3 days vs. stain with 3 coats poly make take 4-5 days. 1) Our house has a engineered wood which has brazilian cherry look so mostly red. We are trying to stain the wood floor next to it in the living room area which is actual hardwood and can be sanded and stained. I would like to know which stain would come closer to the braziliar cherry. I know the hardwood will take a stain color different to the engineered wood but I wanted them to look somewhat similar in color so they look good next to each other. 2) The other part of the question is. We also have windows & a truss in the same area which was recently stained with antique brown color. It turned out to be much darker than we thought and much glossier. I am trying to see how can we bring the shine/gloss down? The painted just brush applied the stain and it looks glossy. The other concern I have is too many shades of wood color in a room (brazilian cherry for floors & dark brown for the windows). Do you have an opinion on that? Is it a typical to have two shades of wood in a room? would you recommend just sanding the stain from the windows and reapply a stain similar to the floor? Please advice! Thanks!! Hi Nii. It’s going to be very challenging to make the stain on oak look like brazilian cherry. The graining is so different. I will tell you some stains to test, but you may in the end feel that it looks better contrasting and doing a dark brown rather than trying to match and miss (mosst of my customers prefer the contrast + they prefer dark anyway). In terms of coming close, you can try red chestnut, red mesquite,red oak (the stain) and sedona red. 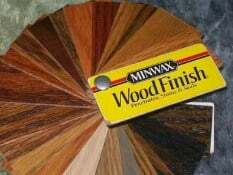 Both duraseal (made by Minwax) and Minwax have these colors and some shades may come in both forms. You may also try mixing in some gunstock to modify the colors. It will look different pending on whether you have red oak or white oak, grade and age. If you want to contrast, then try jacobean and dark walnut. Those tend to look really nice next to Brazilian cherry. If you feel those are too dark, then try antique brown. On the window, you can fix the glossiness by buffing and adding on satin poly (you may need your painter to do that). You can also sand and then change the color. Note: it’s possible that you have a different wood on the window areas (e.g. pine or different oak species.). If the color difference bothers you, you could sand them down and just paint them white. This could depend on style of house. When I have old traditional homes with nice wood, this is often sacrilege or if it’s cheap wood, it may look better and more contemporary in white. Love this! 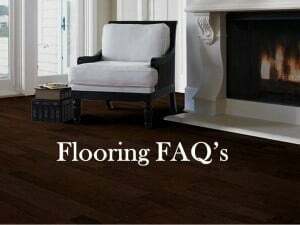 My question is about topnails showing in old flooring (that was probably never intended to show.) 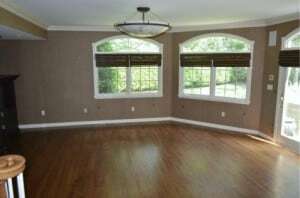 I am considering buying a 1930’s-built home and need to decide fast if we’ll refinish floors before moving in. It’s natural today. I like darks! My question: what considerations should be given to this type of old flooring? Will those old planks look really grain-y and “busy” even/especially if I choose Jacobean or Dark Walnut? I like the idea of testing dark blends as you suggest too. BTW I’m all wrapped up in Pam’s story now, we need an update! 🙂 I say go dark! Tracy – In general, yes, it’s a good idea to refinish the floors before you move in. It’s the easiest and least expensive time to do them. 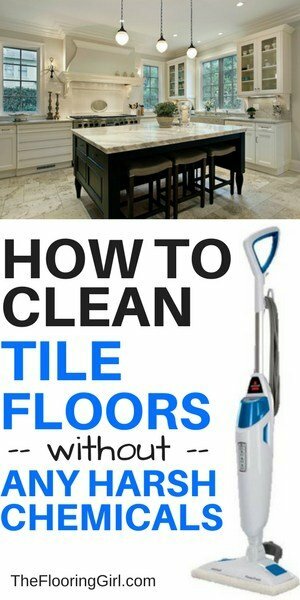 And, your floors will need to be done at some point. (I’m of course assuming your floors are partially worn down). So if you do them now, they’ll hold up better/last longer (vs. doing them 2-3 years from now. If you go darker, you should see less graining. It’s very possible that you have some sort of pine floors (based on the age of your home), and if so, you’ll want to make sure they use a conditioner, so the wood absorbs the stain better. Tracy – Oh yes, I’m curious to know what Pam did, too. I hope she found a good solution, and I hope she is happy. I love your thread ! So helpful. I have white oak flooring that was just stained Jacobean. It looks so much lighter than I had imagined. They did not water pop as I wanted the grain to stick out as much as possible. They have one coat of oil based poly on there , then will do another coat tomorrow. Will this color get any darker as it cures or do I need to have them start over all together and add a little ebony?? Eek! It looks golden and I was wanting a medium brown- no red. Katie – It will get a tad darker as they add the next 2 coats of poly. You also could have them add a tad of ebony tint in the final coat to make it a bit darker. Other than that, if you want it darker, you will need to start from scratch and refinish with a darker stain. Also, I’m surprised it’s so light based on your description. Usually jacobean is dark, much darker than medium brown. And, no the floor won’t get darker during curing (at least not noticeably). I have #2 red oak and I’ve been in my house 24 years ! I wanted to install the Homerwood product and I was looking at walnut and walnut butter rum but I’ve been hearing walnut is to soft ! Also it would cost be crazy to tear up my floor I bet ! Could I use a four or five inch in. Hi Amy. Yes, walnut is a very soft wood and probably not a good choice for a very heavy traffic area. It will dent VERY easily. And, it will show dents and scratches more. I think the 4″ next to 2 1/4″ is fine, but I would look at an alternative species. You could easily do oak with a dark stain. Also, in general for the kitchen, I think that doing site finished wood is better. I have an article on prefinished vs unfinished wood on here (just use the search function to find it (upper right). Hi, we have pre-stained white oak floors in the honey color. We want to have them re-stained in white or gray, but the floor guy told us we could not do that because the yellow color would show up between the boards and we would be able to see light yellow lines in our floors bc the lighter gray/white stain wouldn’t cover the honey color. He said even after sanding, the honey color would still be down in the cracks between boards. Is this true? Jamie – This doesn’t sound right (although I haven’t seen your floors). If they are standard solid wood floors, then you should be fine sanding and refinishing them any color you want. However, if you have some of those floors with deep bevels that have stain in them, then this will be a problem. Most people don’t have those (but I’ve certainly seen some in some older/dated homes…not sure if they were popular in the 80s (or 70s). And, there are some newer ones that have this. While it is often possible to sand the bevels in those floors, it’s extremely labor intensive and expensive. 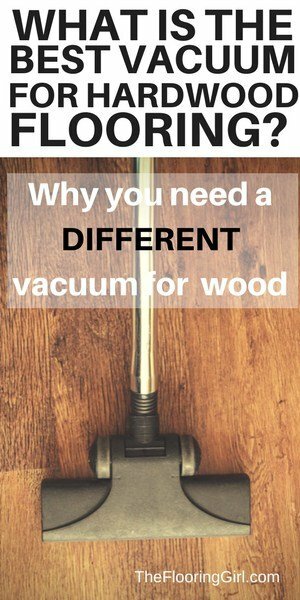 But, if you have regular solid wood, like the solid wood you see in most homes, then you are fine. I’d call another local flooring contractor to get a second opinion. And, is should not matter whether you gray or natural or dark or whatever. This may just be someone who isn’t experienced and comfortable doing gray. Or, it could be that you have a non standard wood. I hope that helps. Oak flooring. My dilemma is what stain to go with. 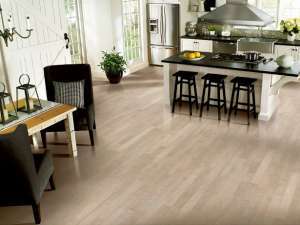 The 1st floor oak flooring has English chestnut stain throughout kitchen, living room, dining room and smaller bed room. My question is should both 1st floor and garden level floors have the same color stain. I like the look of whitewash as it keeps lower level so bright!!! But of course does not stay with the overall traditional look of the brownstone! Robin – I think it’s fine to switch color by level. Generally you do the steps the same color as the floor on that level (as you see both at same time). If you love white wash, then I say go for it…as long as you have white oak. If you have red oak, I’d probably reconsider (as it will turn out pinkish and you may need to spend extra on bleaching the floors). Whitewash looks way better on white oak. But, either stain should look good with your walls. I am looking to replace my carpet in all the bedrooms with hardwood floors. Unfortunately, I am stuck with the mahogny furniture as my husband will not part with it. I love the wide plank look possibly European Oak or Hickory but am struggling with the color. Any suggestions on colors that will go with traditonal furniture? Lena – You should probably either go very dark (e.g. dark walnut, jacobean, espresso) or very light (e.g. natural with Bona Traffic water borne poly). These will give you the most contrast. Also, on the light side, you could try maple. Hickory will probably be too busy with your furniture (IMO). Love this. I have red oak floors that are getting refinished next week. I want something on the lighter side but I like the grays. How would the Duraseal Weathered Oak look with the oil poly? Will the ambering with that color look bad? Thanks!!! Quite frankly, that will look terrible. Yes, it will turn yellow and it will not look normal at all. You can definitely try weathered oak to see if it helps drown out the pink. It may, however be a bit too thin/watery, but definitely test it. It is trendy now, and I’m pretty sure it will be dated in 5 to 10 years. But, by that time, it will be time to refinish the floors anyway. So for now, since it’s your new home and you will be there a while, I would get what you love. Shelly – It’s hard to say…the colors come out different on every species and the stain samples show the impact on oak. Hickory has strong graining, too and sometimes stronger than oak and sometimes they are more prominent on engineered wood. (I’m assuming of course that you have enough wood that you can refinish). In general, the darker you go with the stain, the less graining you see, so you may want to mix in ebony. Also, make sure you’re using Duraseal stain (rather than mixwax)…I just wrote a blog post on that. https://theflooringgirl.com/hardwood-flooring/minwax-vs-duraseal-stain-better-hardwood-floors.html Duraseal is better and the stains come out darker so it may blend the graining in more. If that isn’t dark enough, you could try mixing in some True Black. I don’t think the gray is going to help (although I may be wrong), especially if you are using a premixed stain from minwax (as it’s very watery). And, it may complicate things as you may need to switch polyurethanes (and do a more expensive one). Graining shows less when you are very dark or very light (i.e. natural). That’s a really challenging question to answer, but most likely with the stain, you will darker and more amber. Between the 2 options, I think you’ll get a CLOSER match with natural, but you will probably never match exactly if you don’t sand the other part. Over time, your new area will darken and amberize, so over time, it will look closer. You also have the option of refinishing the other area alter. We are getting ready to refinish our red oak floors and I’m having a hard time deciding on a color. I am considering coffee brown or antique brown because they probably won’t show dust and dirt too much. I’m afraid they could be too traditional though. What are your thoughts on those color choices? And do either of those have burgundy undertones? Laura – I totally understand your dilemma, and agree that those 2 colors will show dust less. They are also nice colors. There is a trade off between practicality and style and the key is to test and see what you actually prefer. 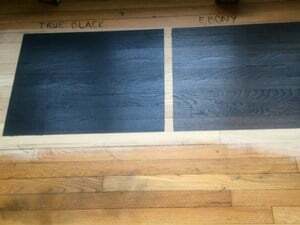 I would test these two + dark walnut to see what you think on your floors (they come out different on everyone’s floors. Antique brown will is darker/browner and red should not be a concern. Coffee brown has a bit more red in it, but it is usually subtle. I think one of the keys is how much the graining shows. The more the graining shows, the more traditional it will look. So, despite the name, most likely antique brown will look more contemporary than coffee brown. The closer you are to the mid range, the more the graining usually shows. But, see what you think and like. What stain color works best with Beige walls and white base board, vaulted off white ceilings? I personally think that dark would go best with that especially with the vaulted ceilings. It will give a nice contrast vs wall and ceilings. I’d try dark walnut as well as 50/50 blend of ebony/dark walnut and maybe 50/50 ebony/jacobean. Is it possible to white wash hickory using a watered down paint technique? Or is it best to use a difference species? I really like the stripiness of character hickory, so I was leaning toward that. Do I have to do a conventional white wash w milk paint or lyme to get the look? I don’t mind if the color eventually pulls grey. Finally, what stain/white wash process do you recommend for the cleanest, mattest final look? I would NEVER recommend using paint of any sort for this. Paint of any sort will most likely permanently ruin your floors and you won’t be able to refinish in the future as paint will seep in the cracks. (and, yes, I’ve seen many people that need to replace their floors and/or live with stripes. We often use Bona white. And, use Bona Traffic HD for poly. No other polyurethanes are good for this. Use Bona Traffic HD in extra matte. 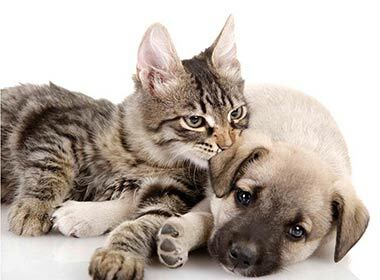 Here are 2 articles that may help. Thanks for the suggestions! I’ll skip the paint and try the stain instead 🙂 Any thoughts about using the stains you recommended in white on hickory floors, or do you think a different species would work better? To be honest, I don’t have experience with white on hickory, so I really can’t answer that question. Hi there! We have just built a new home with 4/5/6″ hickory flooring and I’m hoping you can lend some advice about colors. I was hoping to have a lighter, possibly medium brown floor with little yellow or red tones. I would like to stay lighter as our home is in the country and we have 3 young children tracking in dirt often. ???? We have put some duraseal samples down and I like antique brown but it is darker than I was wanting to do. Mixed antique/ebony/country white and I thought I loved it at first. However after mulling over the samples more it seems very dull and almost some pinkish tones that I don’t like. Do you have any suggestions/pictures of hickory floors you have worked on and what turned out beautiful??? Thanks so much for your help! Hi Gidget. I don’t have pictures of hickory to show you variations. You’ll just have to test until you find what you like. If you want to avoid pink/yellow, I’d go more brown. You may want to try coffee brown as it’s a bit lighter than antique brown (or even medium brown which is a bit lighter). I’d try to avoid minwax stains or premade whites such as country white as it is very thin/liquidity and allows the pinks and yellows to shine through. That’s why so many are unhappy with that as well as their premade grays. If you want to cut in some white, try Bona White. (It may be a bit difficult to find, but that’s what we use and it’s what works). We recently updated our kitchen with shaker cabinets in dark cherry and light gray walls. The floor is white oak with a medium brownish stain; it runs throughout the first floor and needs to be refinished. The home is a traditional 2-story colonial, but we like a modern flair. What stain color would you recommend? Dark? Bob – Cherry cabinets are always hard as they are in the middle and you want a contrast, so either very dark or very light. In this instance, my first choice would be very dark – try 50/50 ebony/dark walnut blend or 50/50 ebony/jacobean blend. If you don’t like dark, then go very light – no stain + Bona Traffic HD water borne poly. That is the lightest you can go (unless you add white wash). If you like dark, but don’t like in kitchen, you could try to contrast there and do a white wash or natural w/ bona Traffic. But, I think they dark will look more modern. Hi – we had our living room floor stained natural and they don’t look quite like the floors next to them (in dining room) but the flooring folks said they will age in 4-6 months and look similar then. They are red oak. Is this true or are they selling me something? When they did the sample it looked pretty close but doesn’t seem that way now that they are done. Nicole – Yes, it will darken and amberize over time and be more similar. That being said, I can’t see the floors, so I don’t know how much of a difference it is nor whether the dining room has a stain on it or not. You can never match exactly no matter what you do as wood is a natural product and it changes color over time. Love all your comments! We have white oak floors in a beach house that gets tons of natural light. Right now they are stuck in the 90s. Orangey/yellow high gloss. I don’t want to go dark. Will show too much sand. I’m tempted to try natural, or a driftwood grayish color, but want it to be “timeless” and afraid that 10 years from now they’ll be stuck in the 2018s. So thinking I have to stick to a medium brown… The contractor will do samples, but I have to give him 3 or 4 colors to try. Any suggestions? Cathy – I hear you on the glossy and orange yellow. I might actually go for natural with Bona Traffic, especially given your location. If you use Bona Traffic HD, you will avoid the yellow and be on trend, it will be hold up best to sand and show it the least. Driftwood could work (and if you do it, you definitely should use Bona Traffic HD anyway), but yes, it will likely go out of style faster. Also, if you need to refinish one area before others (e.g. heavy traffic rooms such as kitchen or entry area, it will be harder to match. All that aside, in 10 years, it will be time to refinish your floors anyway, so you can always change/update the color then if that’s your major concern. I am refinishing white oak hardwood floors. I have dark cherry cabinets and alot of golden brown wood toned furniture. I want to make the floors dark rather then trying to match to all the different wood tones. I don’t like the reddish brown floor as the house is at the beach and i want it to look more clean and contemporary. I am just afraid if the floor is too dark and cool it wont blend with all the other woods. The walls are cream with white baseboards. HELP!! Lisa – This is a toughie as dark cherry cabinets are the most challenging to work with for wood colors. You’re 2 best options are to go as dark as possible (e.g. 50/50 ebony/dark walnut blend or ebony) OR go as light as possible (i.e. natural with water based poly). Whatever you do, I would stay away from reds and red undertones. So, for example, dark walnut is better than jacobean (which has some red undertones). I hope that helps. Lisa – It’s a “cool” color, which most people prefer. I suppose it has a bit of warmth, and it’s certain not cool cool like ebony is. Also, the color comes out different on different woods. You should test it to see how it looks on your floor. If it’s too cool, then mix in a bit of red or a different stain or look test jacobean which has some red undertones and is warmer. Nikala – The darker you go, the more it will hide the red/orange tones. Dark walnut tends to work well, but if that’s too dark for you, then try antique brown. I probably wouldn’t use jacobean as that has some red undertones and dark walnut and antique brown are absorbed more by pine. Also, you MUST use a conditioner w/ pine before you apply the stain. This will help absorb the stain better…and importantly more evenly. If you feel antique brown is still too dark, you can try coffee brown, but I don’t think this will hide the red undertones before. Test and try it. the stain color samples are usually shown on oak…and they look different on pine. Also, use Duraseal for the stain, not minwax. Our red oak hardwood floor has become sun bleached in front of the window and darker under the area rug. We have sanded down the floor, but the different colours still show. Even after applying stain. Any suggestions on how we can even out the stain so that the lighter area doesn’t show as much. 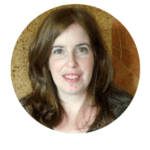 Lorna – Unfortunately, it’s is bleached that badly, there is very little you can do. You may need to replace some of the pieces of wood and weave in to even it out (and refinish again). Did you sand the floors yourself? If so, it could be that you didn’t sand properly. Or, you may just need to sand it again as the sun damage has penetrated more. Usually, when you have a professional do the sanding, this is not an issue. But, there are times where the damage is so bad or as occurred over such a long period of time, that you need to replace some of the wood. You may also want to look into UV protection for your windows. If it’s that bad, your windows are the source of the problem. Hello! I am writing with t-minus 4 days until my condo floors are sanded and restained. Besides stressing out about stain color (still! 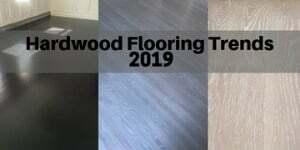 I like dark walnut but am afraid its too cool on my white oak floors) I want to know your thoughts on finish….satin or matte. Our condo gets a lot of light from a western exposure. Any thoughts on this would be so very much appreciated! Robin – Either one will work, but satin is more popular as it has a bit of sheen. It tends to work well with dark walnut. I love dark walnut, but you could also test antique brown (which is just a tad lighter). My red oak kitchen floors (natural finish) look outdated. I want to give my floor a more neutral or cool tone, but was hoping not to have to go to a super dark stain. Is there a light to medium color stain that could help accomplish this? Also, I want to extend the wood flooring into the connecting rooms (that are now carpet). Is it possible to make all the flooring look uniform/match? Has anyone found a wood looking tile to match stained white oak. If so….what was the stain color and name of tile? I would love the look of having continuous hardwood in my kitchen without the upkeep. Thanks! Jessica – It is challenging to find an exact match as these are totally different surfaces/substrates. Often people do different so they don’t have this option. But, you are welcome to go searching around. I can’t give you guidance as every floor and every stain is different. 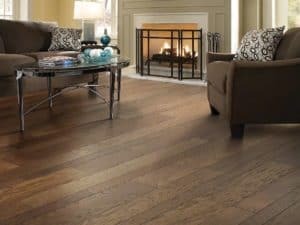 Considering purchasing a new maple engineered floor (Bella Cera verona) that is pre-finished with a darker brown/khaki colored stain (“pisa”). I have read about maple’s issues to photosensitivity and am somewhat concerned, and especially that my darker brown floors will turn yellow or organy. Will the prefinished darker brown stain prevent/hide the yellowing, or should I expect that it will still show through over time? Matt – Oh yes, with a dark brown stain, you are fine! That will hide the yellowing on maple (as well as oak). I saw a picture on your site calling out True Black as a popular color. However, the image shows more of a blue..which I have been wondering about. Can you tell me if blue is an option and are you seeing it out there? Mary – True black actually looks black…or pretty close to it. It could be due to the way the picture was taken or how it looks on your screen. But, I will tell you that sometimes when it’s mixed with white, it looks a bit bluish – or a dark gray bluish. But normally, if you use it straight, it’s black/blackish. In general blue is not a great option. To get that, you would need to get a blue water based stain which is expensive and very difficult to apply…it’s very streaky when you use those and most refinishers won’t do this…or if they do, they don’t know what they’re doing and don’t realize it won’t come out right and that they will probably need to start over and refinish the floors again. If you really want to do this, you will have to search carefully for an installer that has a lot of experience. You would need Bona Traffic for your poly. Expect to pay 2 to 3 times the amount you would for a standard job. 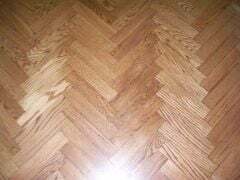 I had new red oak floors installed 3 years ago. I chose chestnut as I wanted a mid tone floor. I had dark floors in a previous home and did not want the maintenance that came with dark floors. After 3 years my floors are looking orange. Do you know why that would be? We are going to be redoing our first floor wood floors. Would you recommend doing them in the provincial stain? The stairs would not match the new floors since those were also done in chestnut? Do you think that would be ok? I prefer traditional rustic decor throughout my house-so the chestnut although orange/red works with it. Just annoyed that they aren’t more brown..
Jo – Your floors probably turned orange because they used an oil based poly which yellows and amberizes over time…and chestnut isn’t a very dark stain so the orange shows through. To avoid the yellow, use a high grade water borne poly. In fact, I just wrote a blog post about this earlier in the week and you can read it here: Which polyurethanes don’t turn yellow. Regarding doing a different color/poly, I would do one that you’re actually happy with. If you can’t afford to redo the other floors, do them in a few years when you can afford it/when it’s convenient. There is no sense in having floors you don’t love. also, you could consider going a stain or two darker if you like that better. you could try provincial, special walnut or even antique brown. test it…make sure you love it. Hi! Love your site! My favorite wood is natural finished walnut and walnut with french bleed. At this time I am refinishing white oak floors and I am attempting to achieve that rich natural walnut color. Any suggestions for a blend (ideally minwax)that would get me close? And I could go darker, but for me Jacobean and Dark Walnut are too dark. Alicia – Thank so much!. So first, I would advise against Minwax stains. See why here: Mixwax vs Duraseal. Duraseal is better and it’s what the pros use. Plus, it will dry faster. So use Duraseal instead (same manufacture as minwax and a lot of shared colors). So, I don’t know what you mean by walnut – dark walnut or special walnut or the species. But, the brown colors that I would test would be special walnut (lighter), dark walnut (darker), blend of the 2, antique brown (in the middle w/ a touch more red but not much) and you could always blend it w/ one of the other 2 is those options don’t work well.